When astronauts first travel to the International Space Station (ISS), they feel as if they have colds and their faces look puffy. At the same time, their legs look thinner. Their bodies had been accustomed to Earth’s surface, where gravity pulls fluid toward their feet. 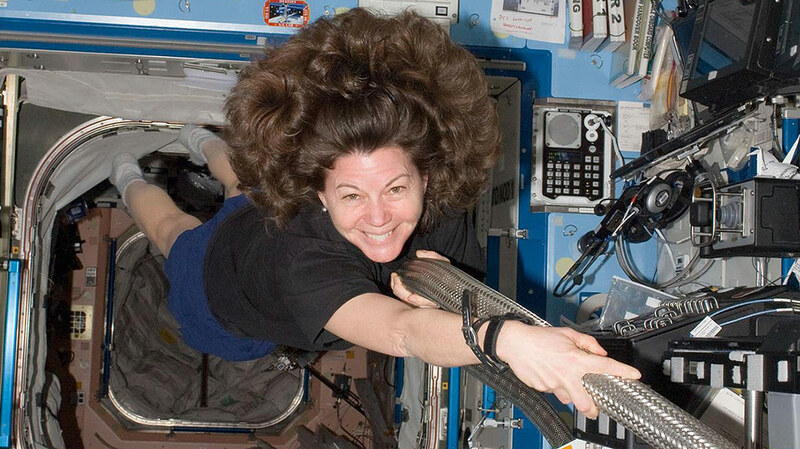 In microgravity, fluid gets distributed more evenly throughout the body. Students do a simple simulation that illustrates how fluids shift within the body in microgravity. Students measure their legs before and after the microgravity simulation, and explain the changes they observe. Published by NASA in 2006. Grades 3-5. Trading Earth’s environment for the environment of space is exciting. How will an astronaut’s body change and adapt as a result of living in a reduced gravity environment?